The roastest with the mostest! It’s a damn shame how many people fear the artichoke. On the surface, it’s an intimidating vegetable. The spiky leaves that could kill a man certainly don’t help. Neither does the complicated center that is pretty, but inedible. 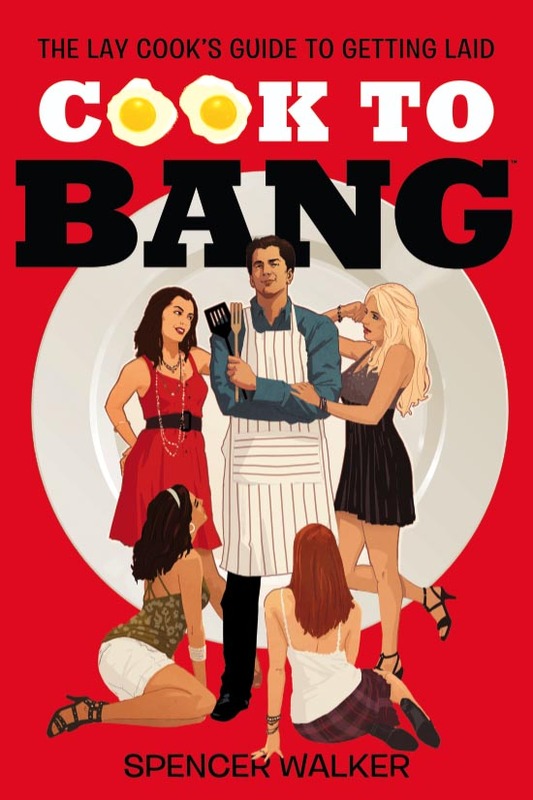 But alas, once you get past all that superfluous nonsense, you got yourself an aphrodisiac that tastes like you broke off an angel’s wing and dipped it in wasabi. The texture alone should sell you on this magnificent gift from the food gods. Plus we’re talking finger food here. That means you can hand feed your date, fostering an intimacy you can later exploit. While you wait for the artichoke to roast, you can whip something equally awesome up or just waltz your date around the kitchen like a ballerina. Now be brave, be bold and buy yourself some artichokes! Preheat your oven//toaster to 350°F/175°C. Wash the artichokes, split them, use a pairing knife to loosen the wispy flowery center, and then pull them out. 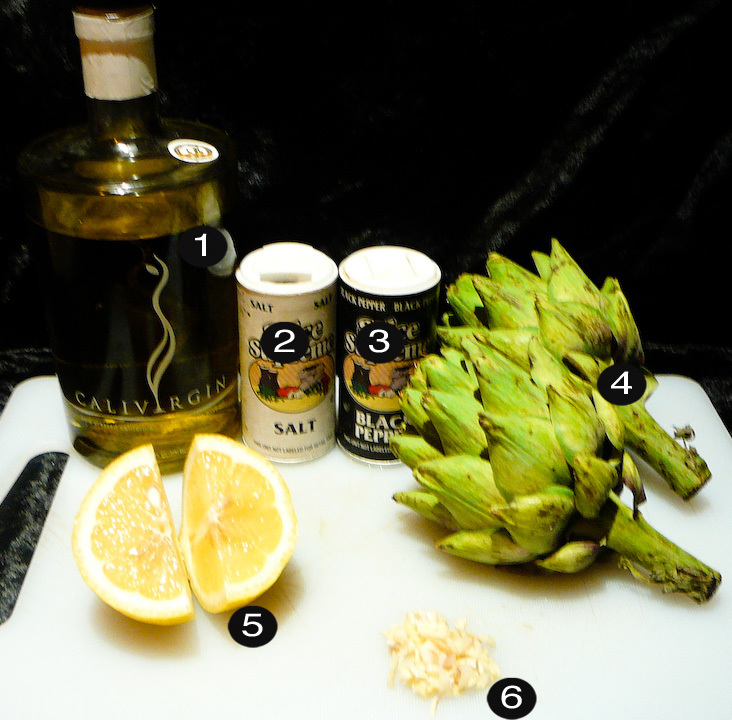 Marinate the artichokes with olive oil, salt and pepper. 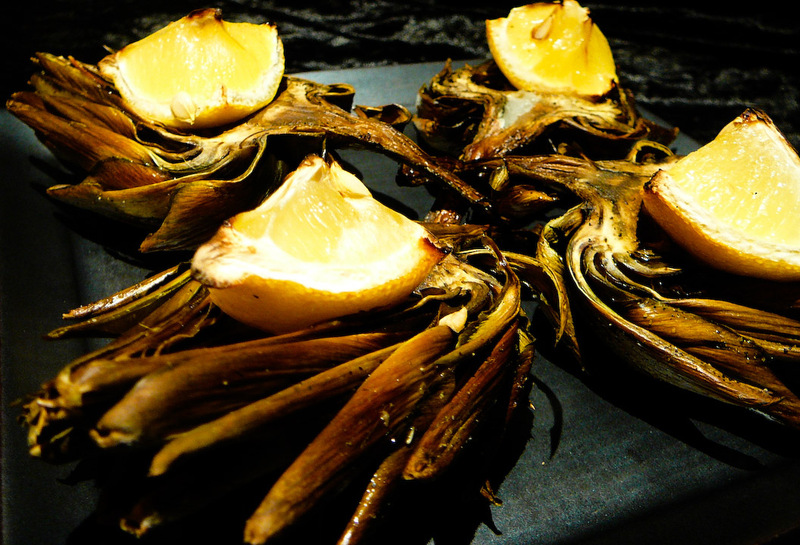 Set the split artichokes, hollowed-center up in a small pan, dumping whatever leftover marinade from the bowl. Add a pinch of chopped garlic into each center followed up a slice of lemon. 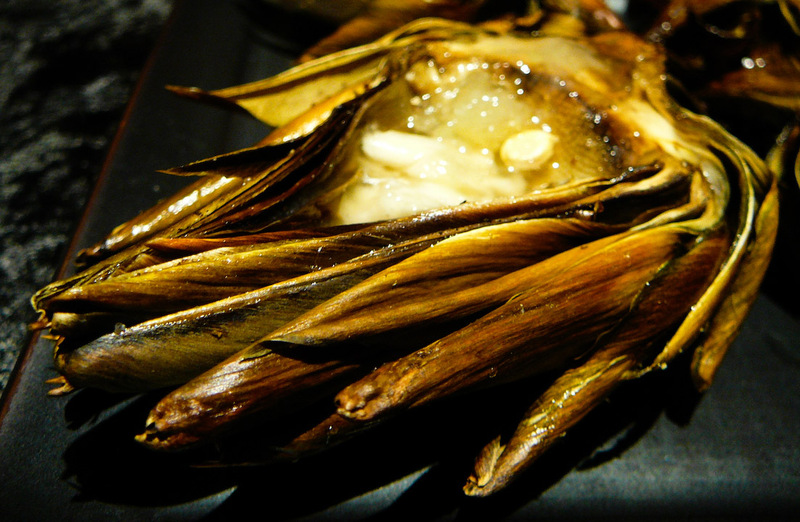 Throw the artichokes in the oven and roast until leaves soften enough to eat (approx 40-50min). Serve up on a platter, squeezing the lemon all over its face.